What Have Other Bowlers Said? Will you please pass on our thanks to all involved in arranging our tour last week. We all thoroughly enjoyed our stay in Bournemouth. The Hotel was wonderful, the food was splendid, and the fixtures you arranged for us were all played at very friendly and hospitable clubs. Even the weather was kind despite somewhat intimidating forecasts! Although I am unlikely to organise another Bowls Tour, I shall certainly recommend your company to anyone who proposes to organise one in the future – and my husband and I will definitely return to stay at the Whitehall the next time we visit Bournemouth. I would like to say on behalf of everyone that came on my tour to your hotel what a wonderful time we had. Thank you to you and all of your excellent staff for a great weekend in a great location. Just to say thanks again for our holiday. Everyone was very happy with the hotel, food and service we received, and the bowling. We had an “epic” journey home! The traffic was dreadful all the way home arrived back 8pm! We are very lucky with our driver he is very obliging and looks after us well. This holiday was the first I had organised for the club so I was lucky to have found the Whitehall to stay in. The race night was a great hit and they all loved “Mr Marmite” except me! Hi Kirsty another tour done and dusted! On behalf of my Committee and members may I thank you and your staff for the wonderful way that you all looked after us last week. Your staff without exception, were friendly, welcoming and helpful, the food was first class. As you are aware, I have been arranging bowls tours for some 30 years and am asked by my many clubs for recommendations of hotels that cater for bowls tours. I will confidently advise them that The Arlington at Bournemouth continues as one of the very best and is a great venue (not that I will need to tell anyone as everyone I speak to who visit your hotels seem to go home happy). 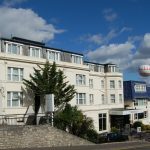 You wouldn’t like to open a hotel in say Plymouth, Dartmouth, Dawlish, Ilfracombe, Padstow or Newquay as I am constantly looking for a good one in those towns? Good afternoon Kirsty, This is to say thank you for a super tour, everyone was very pleased with their stay, so far we have had no complaints. That has to be a first. The rooms were superb and the meals were excellent. I was sorry that I did not meet up with you, perhaps another time. My good wishes to you and to all members of your staff. here’s hoping you all summer well. On behalf of my club I would once again like to thank you and your staff for a very pleasant stay. We were made to feel very welcome and would not hesitate to return in the future. Please thank Kirsty and Geoff for all their work with the Bowls matches, all of which went very smoothly, so much so, that we had next year’s County President with our party, and he was particularly impressed with the friendliness at Pelhams B.C. and has asked me to try and arrange a game against them for next year. Now that the dust has settled, I would like to thank you and your lovely staff for helping to make the Tour a resounding success. We all had an enjoyable time and can’t wait to come again. The clothing left behind has now been returned to the owners and it was kind of you to let me know about this. On behalf of SV Bowls Club, I would like to thank you and your staff for an excellent weekend. Everyone enjoyed themselves the rooms were fine and the meals were good. Thanks for loaning us the Bingo machine and for Annie, she was a big success with the members, please thank her for me as well. As always somebody forgets something, thanks for returning the book of jokes, It was posted through my letterbox before I got up on Tuesday morning, what service! I will post you some stamps to cover the cost. We all had a wonderful time and a good weekend’s bowling. I hope the Club will want to go to Bournemouth again in the future. Everyone is home. No-one was lost, admitted to hospital or arrested. Phew. My stress levels can return to normal levels. This is in no small way due to you, your organizational skills and your lovely staff. Thank you. We were lucky with weather too. Yesterday at the misdemeanours court I asked for comments (dangerous with our crowd!) . These are some of them. Bed was too comfortable. I slept longer this weekend than in years. (That was a compliment I think) I’ve put on weight, food was lush. Immaculately clean (this from cleaner supervisor in our local hospital.) Wish we could stay for a few more days. The clubs we bowled were nice especially Kynevton Gardens. Please thank Geoff for finding them. We have invited them both to our club whenever they like. Thank you all so much for your help. We will be recommending you to our friends in other clubs. And we did take the tinsel and turkey brochure. Just a short note to say thank you for organising my tour to Bournemouth. Everything went like clockwork and that’s down to your hard work and organising skills so thank you very much. Everyone enjoyed all the venues and we really had some fun even managing to win some of the games which is unusual for us when we are on tour. Just to say thanks for a well organised weekend from you all. We had an enjoyable weekend at the Arlington Hotel. Please pass on our thanks, everyone thought it was a good Hotel with very lovely food!! Our three games went well, all clubs being very friendly, even if we did lose all our matches!! On behalf of our club I would like to extend a large “Thank You” to yourself and all your staff for all the help prior to and during our recent stay at The Whitehall & Arlington Hotel. All the staff were friendly and efficient. Any problems encountered were dealt with speedily and effectively and any constructive comments made by us were listened to and taken on board for the future. I would have no hesitation in recommending your hotel to any other group. When I bring another tour to Bournemouth the Whitehall Hotel will be the first hotel I contact for reservations. Once again “Thank you” and I hope to see you again in the not too distant future. Just a note to say how much we enjoyed our week with you on our Bowling Club Tour. Speaking for myself, I would like to thank you and your staff and in particular your chef who dealt with my dietary needs over and above the norm. The food offered was excellent and the care given to me by all your staff was wonderful. Please pass on my thanks to everybody. We can’t wait to come back to the Whitehall, and enjoy such great hospitality. This is to thank you and all your staff for helping to make our bowls week the best ever. Everyone has been so enthusiastic about the whole week with nothing but compliments for the hotel, the food, the cleanliness of the rooms and, more than anything, the friendly, co-operative members of your team who could not have been more helpful. Everything about the week worked for us with amazing weather, some great bowls and a lot of fun. 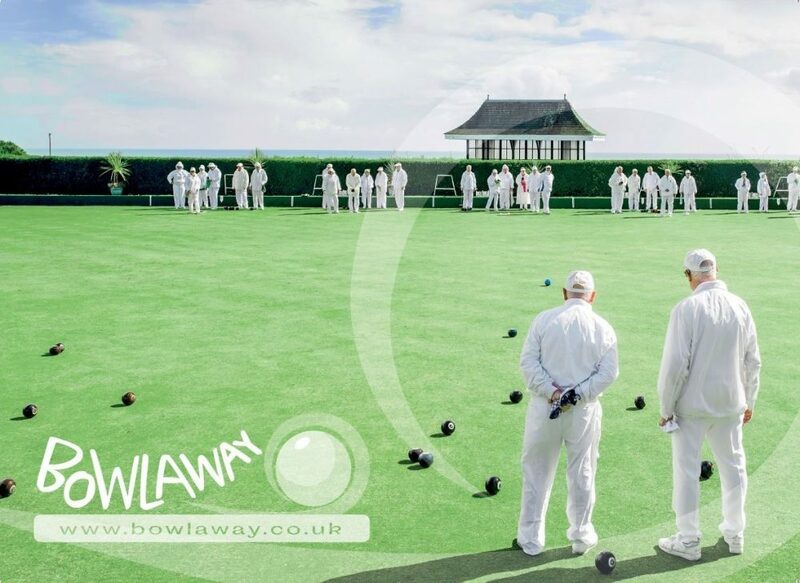 It is such a bonus having all our games arranged for us so I do hope that Bowlaway continues its good work. Once again, many thanks for all that was done to make our stay so enjoyable and I look forward to a return visit. I would like to thank you and your staff and also congratulate you all, on behalf of our Association, for the service and accommodation provided at the Whitehall during our bowls tour. I have personally been involved in organising tours during the past 25 years and I would say without doubt that the Whitehall would rank at the top of the list of hotels used. You could not be faulted in any way. From the request for a quotation right through to our departure we received complete co-operation and excellent service from you and your staff. Room standards being very good, restaurant service and fare excellent. Add this to the fact that personally I did not have one complaint or moan during the stay, never known in my experience of large parties. What more can one say. Please pass on our thanks to your staff. I would certainly commend the Whitehall to any bowls tour organiser. The Arlington was very suitable for our group and we have received plenty of very positive comments from our members. From our point of view as organisers of the tour, the service you gave in setting up the games,providing maps and answering questions was first class. We liked the size of the hotel, it was compact enough to keep us together and it is well positioned in the town. The food was good and the rooms were clean. We thought we received value for money. The staff were friendly and helpfull. We were unsure whether to take up your offer of a singer, they can be rather naff, but he was well received and people enjoyed the entertainment. I am not aware of a single moan and everyone had a smile on their faces. That must be good. We would just like to say how much we all enjoyed our trip to the hotel and the bowling clubs. We were made to feel very welcome everywhere and since we have been back everyone has been very positive. Thanks for helping us through the arrangements. We would certainly be interested in doing another one! It is now just over 3 weeks since we returned from our Tour in Bournemouth, based at the Whitehall Hotel. The vast majority of our tourists felt that this year’s tour was one of the best if not the best that we have ever had. Everyone was most complimentary about the hotel and the staff, all of whom were friendly and helpful and made our break such a success. The weather was extremely kind to us throughout our week in Bournemouth, but then in 30 years of our tour we have only lost 2 days bowling in all that time, so this must be a time of year when it is settled. As regards our matches during the week we managed to win 5 of the 6 so most of us were happy there as well. Many thanks to Geoff Jones for getting these just right for our group. 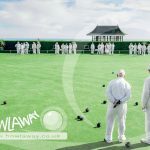 Bournemouth is a good venue for a Bowls Tour as there are sufficient clubs there to ensure that you do not need to travel too far, unless you want to. The added bonus is that the greens are much better than those we play on locally at home, and this makes players raise their game as well and increases their enjoyment. I am quite sure that we will want to return to you some time in the future as a Bowls Tour, and I would expect that several of us will want to return as individuals in the future for a break. There can’t be many better positioned hotels in Bournemouth than the Whitehall if any. It is handy for just about anywhere you want to go. When we returned home we gave all our members a form covering all aspects of the tour. Meals. Good choice, excellent presentation,hot & nicely cooked. Bar Facilities. Good & staff very helpfull. Staff Service. Very helpful & pleasant. The Bowls Matches. All very enjoyable, but Weymouth too far. Hotel Entertainment. Good, but needed more support. Thank you Kirsty for all your help,and hope to see you in the near future. The meals and service were first class. Compliments to the chef! It was all very good. Thank you for a lovely holiday. Another excellent weekend. No complaints. Looking forward to next year. Again excellent bedroom and very clean. Excellent first class service. Very good meals. For me it was a very good weekend – no complaints at all. Thank you. Everything was first rate. Enjoyed Bernard’s Quiz. It couldn’t be better. Bedroom decor superb. Excellent meals. Excellent arrangements for bowling matches. Great weekend! Very comfortable bedroom, excellent meals, very welcoming reception. You possibly need another bar person when busy? Wonderful bowls. The weekend could not have been any better. Many thanks. All very good. We’ll be back again next year! 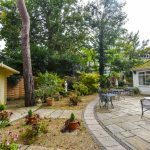 The Whitehall is very convenient for a short walk to the seafront, gardens and shops before bowls matches and then be able to relax and enjoy our evening meal on our return. Everything was very good. Thank you for a wonderful holiday – the feedback that I have received has all been positive. I know that these things don’t happen on their own – it takes time and effort to get things running as smoothly as you have. Congratulations. Dear Sara & Bernard, Thanking you and your staff very much for the friendly welcome. Everyone had an enjoyable time – our first bowls tour was a great success. Many thanks from all the party from our Bowls Club – we have had a most enjoyable stay. On behalf of our Bowls Club may we thank you and all your staff for all the arrangements and service you provided. Good Luck for the future. Thank you for your hard work. Everyone in our bowls group had a really lovely time. Food and hospitality we couldn’t fault. Thank you Sara & Bernard – it looks like we’ll be back next year! To Sara & Bernard – all the members of bowling club thank you and your staff very much for the warm and friendly welcome and care and kindness given to us on our recent stay with you. Everyone had a very enjoyable and happy holiday. Thanks so much for a relaxed, comfortable and friendly stay. We’ll be back. All good wishes. A super tour, super hotel, service excellent. Many thanks. I will have no hesitation in recommending the Whitehall Hotel to anybody I hear that intends staying in Bournemouth. Congratulations on your achievements so far and best wishes for your continued success.